Quote of the week – the Lewgate fussbluster | Watts Up With That? Lewandowsky made a huge fuss about people being unable to locate emails. The only reason why people were unable to locate emails was because Lew had concealed his association with the survey and then used the concealment to score points. In earlier incidents, readers of various blogs piled onto early criticism of Lewandowsky and submitted a number of complaints that generally were too angry and poorly focused. These were easily dismissed by the University and built up resistance, diminishing the effectiveness of my own complaint. Unless readers feel that they are in a position to file documents that are at least as good as mine, I would prefer that they not contact the University. This would be worth conveying to WUWT readers as well. Since my complaint to UWA was included in the recent FOIA release, I plan to publish it here, un-redacted, so that readers can see it in full context. I was in a car accident yesterday. I’m OK but was very lucky. Hadn’t been in an accident for years. We join thousands of others in breathing a sigh of relief and wishing him well. 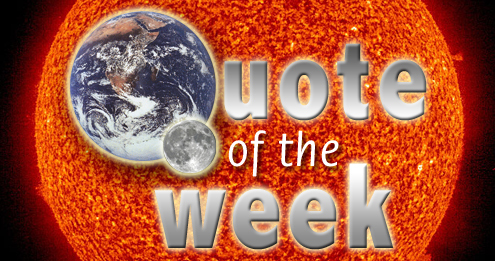 March 25, 2014 in Lewgate, Quote of the Week, Stephan Lewandowsky. Journal takes Lewandowsky and his supporters to task on 'threats' over retracted 'Recursive Fury' paper. Thanks, A. This L. character is shameless. Good to read Steve is well. Was Lew at the wheels or one of his associates? Naaah…that’d be conspiracy ideation and we shall leave that to the stupid and his subterranean war. Is there no press outlet for this story in Australia? It seems to me to include all the needed components for a scandal story except for political correctness. Yes, it is a very good point to say that a bunch of hot-headed letters to a university is counter-productive. Steve McIntyre is very, very good at what he does. Don’t get in his way! Thank god that Mr. McIntyre is OK and not hurt. I’d be interested as to what kind of stickers were on the bumper of the car that hit Steve’s. We deniers can ill afford to lose our Climate Auditor! Australia has effectively only two newspaper organizations: News Ltd and Fairfax Media. As such, it’s difficult to get a range of opinions on matters, and even harder to get that range of opinions to a wide audience. News Ltd tends to be right of center and Fairfax tends to be left of center, with a corresponding collection of readers. Television is a poor medium for this story because it’s not visual and doesn’t condense easily down to short sound bites. That leaves the Internet… and that includes us here. There are more Australian media options online (the major TV stations have websites with news coverage), but I honestly don’t know how successful they are with readership. So… the short answer is that while someone like Andrew Bolt (who works for a News Ltd subsidiary) may pick up this story, it might be too esoteric for him, too. Obviously, Steve’s accident was caused by CO2 rising. Glad you are okay, Steve! Glad to hear McIntyre is not hurt. I have been thinking about all this focus on Lewandowsky. Here is also some wider focus. Right now this high concentration of dialog on Lewandowsky looks at his non-scientific behavior while representing himself as a scientist participating in the so-called climate ‘consensus’ or ‘settled science’. The dialog about Lewandowsky is open and transparent. A wider and equally important focus is to look at, from unambiguous instances in the public record of his talk and his written word, whether Lewandowsky gives acknowledgement to other earlier similarly behaving scientists / intellectuals as being the basis of his behavior. That is, it is also important to identify from his public record, anyone who he says are the intellectual behavior role models for his behavior. An interesting candidate to be one of Lewandowsky’s role models is the article in the journal Science entitled ‘The Scientific Consensus on Climate Change’ (Oreskes, 2004). It exhibits similar intellectual behaviors which are well before Lewandowsky’s behaviour in ‘Hoax’(2013) and ‘Recursive’(2013/retracted 2014). It is well before Lewandowsky appears on the scene of CAGW climate discussion. where letters can perhaps be effective is notifying politicians of obstruction. I don’t wish to discourage Australian readers, for example, from complaining to their MPs about obstruction by public agencies. But even with such letters, it’s always important to dial back angriness as it gives the recipient a reason for tuning out. If you write something when you feel angry, it’s always a good idea to wait a day or two before sending and editing when you’ve cooled down. Not just in climate. Speaking of resistance to complaints, has there been any response to Monckton’s letter to RIT about professor Torcello? And if I can get the tags right, that letter was printed and discussed here . Which colored rose petals do you require cast before your feet? Hell hath no fury than a bureaucrat asked to consider and take action on something without a precedent. How exactly do I determine goodness? It’s too subjective a metric. How about: unless you’re going to make a civil, well thought out, well documented, and academically correct complaint please don’t provide them with fodder for dismissing “skeptics” as being Neanderthals. Hopefully Steve (and Anthony and others) are driving big, huge, heavy, cars that will protect them from any oncoming Prius drivers with an agenda. Prayers of thanks for Steve’s safety and continued thoughts for the safety and good health of everyone else in the fight. That’s precisely what I do. Not only does it let you cool off, it give you time to think of all kinds of clever and effective things you can say in response. MSM outlets (other than Andrew Bolt, say), No. On the other hand, there’s always Jo Nova, who has covered the Lew sagas in the past. I tried leaving a comment on her site, but got caught up in WordPress’s security system. Perhaps someone who knows Jo’s address could draw her attention to this. Jennifer Marohasy or Australian Climate Madness are possible other avenues. Thankfull Mr. McIntyre is OK. Whew! As for the dubious Mr. Lew, 😯 (primal scream) , honestly…er, that is the question actually. Honesty is what concerns my wee brain. 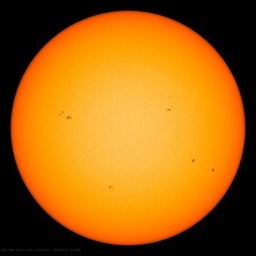 I am following the planets heat/cold condition as best a mere plebian mortal can for over a decade. And I have many many times wondered, who is telling the truth? Now pardon my accademic political incorrectness, but, I thought Science was ALL about exacting TRUTH from study, experiment and proof, i.e. computer models getting it spot on right. So then. I noted at least 7 years ago that the endless hype terrorising my kids in school that the arctic was melting ( it was summer after all) and that polar bears are drowing from no sea ice at the north pole, that super storms were gonna destroy the east coast, that endless drought will toast North America, that UHI effects and poor locations for temp readings used in various data sets may be skewing reported data, that the deep sea Argo probes data needed “adjusting”, all issues one by one showing a wee bit more disohnesty that my hot chillie pepper tempered stomach can take! I am seeing that this battle being waged is not just about climate science integrity, which it certainly is, but also about who has the interest to gain from policies being driven down our collective throats? I guess that part of the battle is the “follow the money” part. You can call my a greenie, environmentalist, or native rights activist, or what ever, BUT, what interests me most is TRUTH. It used to be the hard anvil of science that put errors to bed and revealed ever better understanding of our natural world and gives us ever greater technical abilities. Just because I question the Schmidt/Mann/Hansen et al super settled non-debatable climate science I find myself in fear of retribution from an alarming array of antagonists. I thank you persons of integrity for taking on what appears to be a beheamoth machine of intellectual and scientific and financially equipted organs. Without you Anthony, and Steve and Bob Tisdale and John Coleman, “they would have scaped us off the planet already! Aieeee! Can we PLEASE, once and for all, ban the use of the term -gate! Thanks, I feel better now. Carry on. Steve’s Point is very well taken. But there is another. The whole Lew saga, important as it is to media perceptions about consensus, is a sideshow compared to actual climate science like Lewis and Crok (TCR), Wyatt and Curry ( natural variability in the climate stadium wave). Or debunking junk papers (England’s ENSO caused the pause, Trenberth’s missing heat, Marcott’s mess, Seattle Times Sea Change nonsense, many others). the consensus argument is pure sophistry even if Obama uses it. The IPCC and UNFCCC will ultimately prevail or fail based on the underlying science. In returning fire, every shot should count. Best to write appropriately reasoned factual retraction/revision requests to the journals and MSM. My experience has been that Science, Nature, and the Seattle Times either do not respond at all, or say they will look into specific factual complaints and then never respond further. But all this builds an indelible record toward a future day of reckoning, while making journals and media hopefully more cautious about ‘next time’. Frontiers has apparently reached that point. It is too much to expect Lew ever will. UWA can be worked on, but since it harbors England and ‘ship of fools’ Turney looks like a lost cause except through legal processes. Steve is on that. What about Bristol, where Lew currently resides, UK folks? I hope Steve M is not too shaken by the car accident – and I hope nobody was hurt. It is worth reminding people that the Professor of Clinical Microbiology at UWA is Nobel Laureate Barry Marshall. His work broke the established scientific consensus on peptic ulcers. It is another “scientific consensus” that the Prof Lewandowsky seeks to maintain by his work. Please remember in all of this that in the “Hoax” paper Lewandowsky aimed to smear the majority with the alleged inferior opinions of a small minority. Subtle. There are two opposite ways to take that comment. It is almost Shakespeare-like in its phrasing with double entendre. I haven’t engaged in any of these correspondence sessions, but if I did, I wouldn’t defer to my supposed “betters” in that, McIntyre or no. Try herding cats, er skeptics. There are not many people I would agree with re: Mc’s statement. He is one of the very few. If you think you can write as effective a letter, why not post it here? You may get some helpful criticism. Rud Istvan, Turney is at UNSW, not UWA. I concur with Steve M.’s point about the tone and content of correspondence, although it’s a bit cheeky of him to tell Australians who they should or should not write to in their own country unless their “documents” meet some unknown standard that he has set. In this democracy, we reserve the right to contact whomever we like about whatever we like, thanks very much. But it is certainly true that rants get short shrift from bureaucrats and politicians. In the case of universities, they are not in the least bit interested in people’s “opinions”, as they are essentially bureaucracies. The only things that matter to them are legal, procedural or financial in nature – especially the latter. In other words, you need to bring something concrete to the table, and it needs to be something that has not already been brought by somebody else. Upon further reflection, perhaps “Lewgie Awards”, or “Lewgies” for short would be better. More nuanced. If the recipients of “rants” just gave short shrift to the rants then there wouldn’t be too much of a problem. But they don’t. They use those well meaning but ill-conceived complaints to characterise the whole of the sceptical movement, effectively allowing them to ignore the well presented and valid points raised by others. To be scrupulously fair, it may not even be entirely deliberate. It’s fairly natural for someone faced with a baying mob to not notice the quiet voice of reason coming from the guy 4 to the left in the 5th row back. Even if they do notice (and i believe they do), the fact that it [i]is[/i] reasonable to miss that voice amongst the babble is the perfect cover for them ignoring it if they want to! I think there is a greater problem here. Imagine how people who were concerned about Sandusky’s behaviour in the showers of Penn State would have brought up the issue. They were dismissed for, what, 20 years? Academic and governmental organizations cannot deal with problems. It’s not what they’re there for. It wasn’t until I had Human Resources reporting to me that I realized the HR department is there for senior management, not for the common worker. How to sweep something under the rug is usually the default response, not whether to or not. to me this is just one of the many abuses that have been documented in the name of promoting propaganda in regards to climate issues in Australia. The present Government is methodically working their way through a litany of such pushed social issues and agenda that have attempted to destroy our economic growth and prosperity. We lost respect for the C.S.I.R.O with their political pushing of dire warnings and our temperature records and historical veracity were abused by outside influences in the name of this warming agenda. Time is fast approaching where such well documented abuses can be aired in a government sponsored inquiry into the whole climate sorry mess . There are many academics in Australia who would welcome such an inquiry, perhaps it is time they had a venue and voice to restore science and education to a point where propaganda no longer has the position it attained under previous governments. Don’t they all do this? UEA, Sandusky-State Pen… oops…Penn State, UWA, UNSW – ship of fools, scientific societies: AGU (Gleick’s in charge of their ethics committee), Royal Impropriety Society – whitewash work, handing out awards to felons, UN, Nobel Committee…. Indeed, it is a total oxymoron to call any group in these organizations an ethics committee. It’s like a mafia ethics committee – they are the arbitres of ethics and fair dealing. The committees are really rapid response cleanup/cover-up officers. ‘Off with their heads” only joking. “Science” has become powerful . . .
. . . and corrupted. People who think that policy is affected by the presence or absence of rants are missing the point – take it from one with decades of experience in various bureaucracies that deal with sensitive issues. On any high profile issue, you get rants and you get correspondence which has to be taken seriously, especially if it is backed up with evidence, from both sides. Rants are ignored (maybe they get a standard reply) and have no other effect one way or the other. Serious correspondence is at least noted, and very often is given a great deal of attention. The attention may well be focused on potential damage to the organisation, but nevertheless it does have an impact. At least 80% of non-official correspondence (i.e. from the public) is a rant. Apart from perhaps tallying the numbers for or against something, it is primarily therapy for the writers, and is treated accordingly. But one of the main functions of a bureaucracy is winnowing the wheat from the chaff, and the amount or proportion of chaff is irrelevant to the treatment of the wheat. Johanna, so what is your point in relation to this discussion? That we will be ignored even if we are right? Forgive me I haven’t found this with my dealings with bureaucracy. Accept Conroy with NBN or climate change alarmist science with Tony Windsor. let me clarify my request. My beef and request arises only when it’s an issue and analysis that I’ve developed, such as the Lew affair. On some occasions, readers send in complaints before I’ve finished a series and before I send in my own position. Such complaints are frequently very animated, but tend to immunize the agency. If readers are doing their own analysis and wish to communicate with whoever they want, then far be it from me to discourage people. I, of all people, cannot and do not argue against people having their say. i’m only concerned with complaints based on analysis that I’ve posted. Steve. The thing is when you put up an alternative view or report, one should then examine the evidence the writer is submitting. Some people jump to conclusions before you have even completed your report. And a bit of trivia, one of my ex’s used to jump in before I even answered a question or finished sentence, and told me I was wrong. It was a self defense ploy, and I was always saying ‘Can I finish!’ then this often interfered with my thread of thought. We soon parted. Australia has effectively only two newspaper organizations: News Ltd and Fairfax Media. [ … ] News Ltd tends to be right of center and Fairfax tends to be left of center, with a corresponding collection of readers. … and then we have the behemoth Australian Broadcasting Corporation which is a state subsidised mouthpiece of the anti-conservative socialist movement … you don’t get a hearing with the abc unless you are on song with their political aspirations. Quite right, Jo. In a previous GFC job, I had the honour of sifting through infrastructure works complaints and drafting ministerial responses. As these Ministers were not ‘my cup of tea’ it made for an unpleasant task covering up political nepotism. But how do you know that you are right, and that the equally passionate letters from others are wrong? They are sure that they are right, too. The only thing that matters is evidence, and if it is a policy decision by an elected government, even that doesn’t necessarily count for much, as Streetcred illustrated. Anyway, thanks to Steve for clarifying his point. As I said above, you need to bring something new to the table, and indeed I agree that shouting loudly based on someone else’s partly completed work just potentially undermines that person’s credibility. “But this obvious conclusion that those believing in global warming are very subjective and change their interpretation to fit their beliefs in sharp contrast to skeptics who tended to base their views only on the data and not what they were told the data showed, was not only omitted from the paper, but instead it was replaced with a conclusion very strongly suggesting the opposite. My experience with a US National Lab was that they protected managers (ie the administrators protected each other) no matter how incompetent or dishonest and had no interest in quality of the science UNTIL it came down to financial self-dealing — then heads would roll. and his solar energy mate stood in his place. Of course he received more preference votes from the Greens and Labor supporters, but not primary. It all boils down to politics and money which side one supports, and Tony and I fell out over this one thing. After a 13 year political relationship and my support. I felt Tony was being conned and hoped my EVIDENCE would be helpful to him. Sustainability yes but for the good of the land and people. Good work, bushbunny. I dips me lid. But none of your fevered narrative helps in understanding how complaints are handled in bureaucracies. Johanna, Well, we all know that a minister is reliant on his/her workers to take or make an opinion and judgement on a particularly curly case. Yes I did have another example, but unfortunately both sides were at fault so the Minister agreed with her department. Actually I was in the forefront of objecting to this decision, but I found out the info I had been given was faulty and I was lied to by the people I was supporting. That’s why I am wary now getting involved with any committee or lobby group and supporting what I feel was a bad decision. But in this case, I have been aware from the time that Al Gore started his rant, and this government or rather the previous one, started their campaign against CO2. They were wrong. However, some of my dealings with bureaucracy have generally eventually gone my way but I always had evidence to prove I was right and them wrong. Interestingly, I worked for the Southern Health Commission, and in the seventies there was concerns that after the Vietnamese war ended we would be inundated with refugees from South Vietnam. I happened to open a letter to all the State Health commissioners from the Northern Territory commissioner who was stating they expected up to 27,000 refugees and he had not enough quarantine facilities to cope. (9,000 a year at least) A political announcement was made and the minister stated only 9,000 were expected over 3 years. Well that was a real porky and underestimation. PS. Oh, Johanna, sometimes the only way to get any result is to go through your State or Federal member. There is a 30 day turn around for any letter a member has sent on behalf of their constituents.